View/Sys/Gal: Ode " Iteration" in "IterationExs." where h is on the order of 0.01. NOTE: Both vector fields can be viewed in either the Ode view or the IMap views. The Ode view of V1 is generated using the (default) RK4 solver. V2 is different from, but related to V1. For small h, the IMap view of V2 is the Ode view of V1. 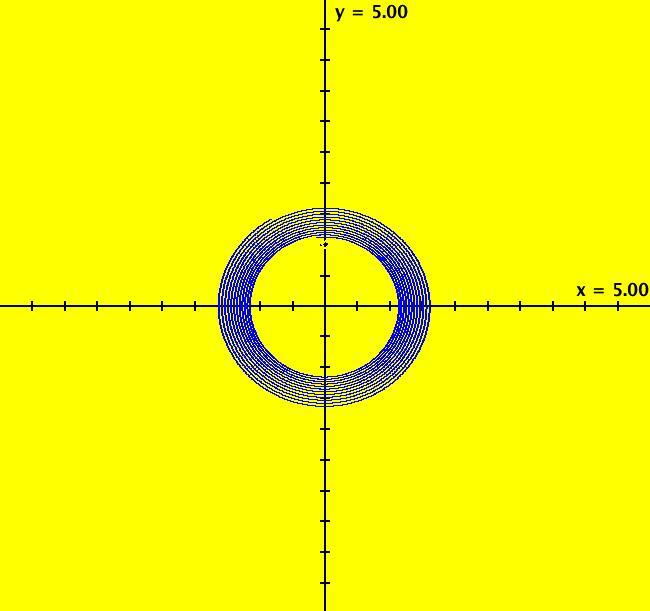 View/Sys/Gal: Ode "( 1) solve x^2-x-1=0 w/Newton's method, in IMap View" in "IterationExs." so we can check OdeFactory's results. If you click on the starting points, you will see that they all converge to -.618034. NOTE: the ode is not defined at x = .5 so, in the Ode view, the solver, RK4, fails (gives squiggles) when solutions are extended in -t.
View/Sys/Gal: Ode "( 1) solve x^2-x-1=0 with dx/dt = x^2-x-1" in "IterationExs." The iteration being used is just RK4. Image 1: Ode view with S on. 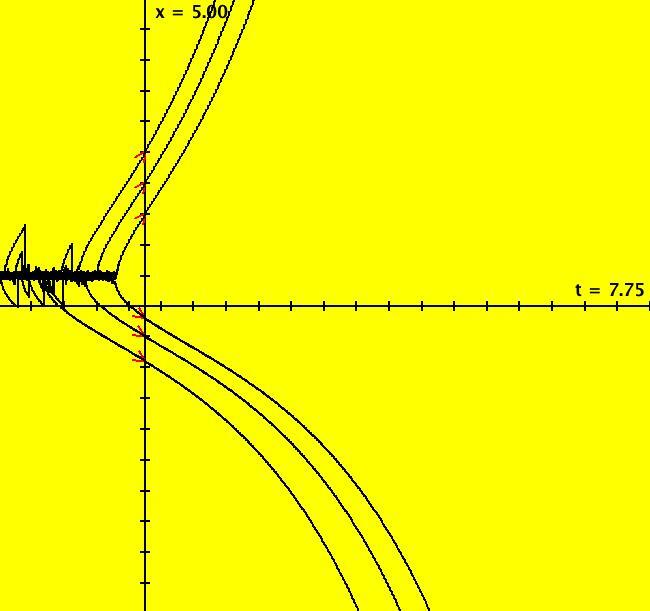 View/Sys/Gal: IMap "( 1b) plot y(x) = sin(x) w/Euler, in IMap1000 view" in "IterationExs." 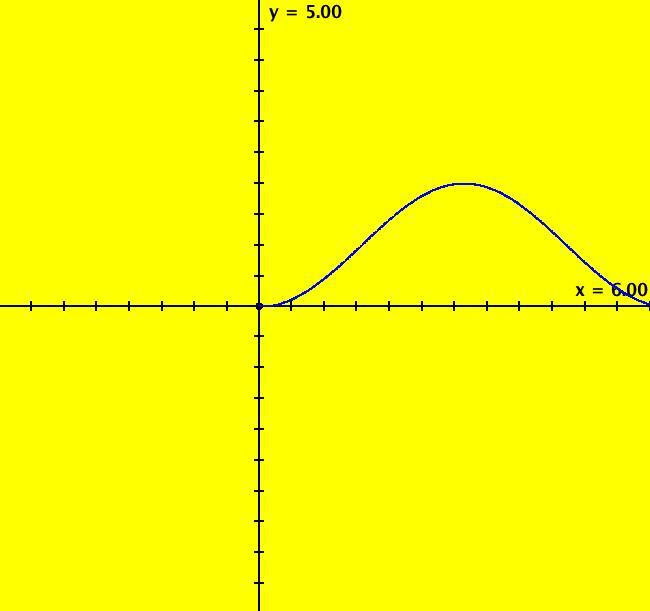 Plot y(x) = sin(x) using Eyler's method. Use ICs: (x,y) = (0,0). 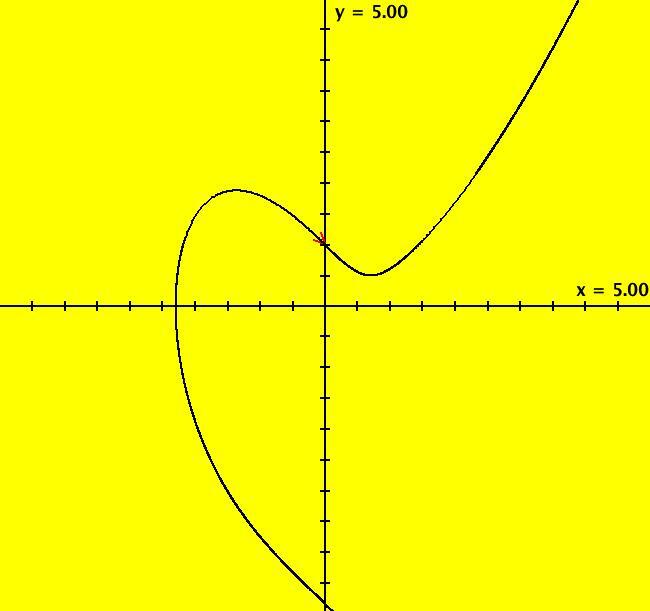 Image 1: IMap view, the plot of y(x) = sin(x) for x >= 0. IMaps are not invertable so they only give images for t >= 0.
in the Ode view, using the default RK4 method, you get a better plot. 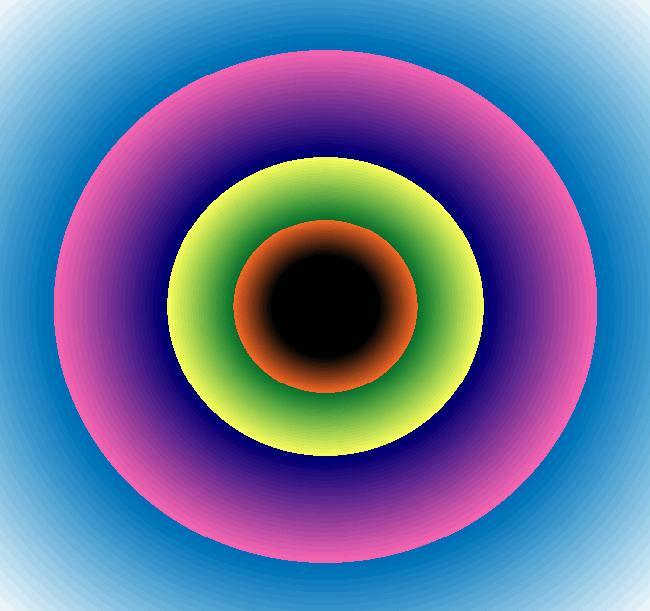 View/Sys/Gal: Ode "( 1c) dx/dt = 1, dy/dt = cos(x) w/RK4 in Ode view" in "IterationExs." 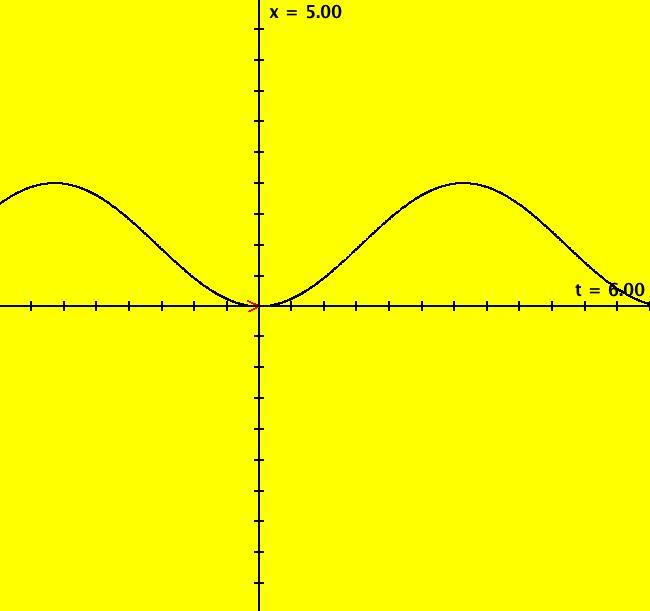 ICs are (x(0),y(0)) = (0,0) so c = 0. 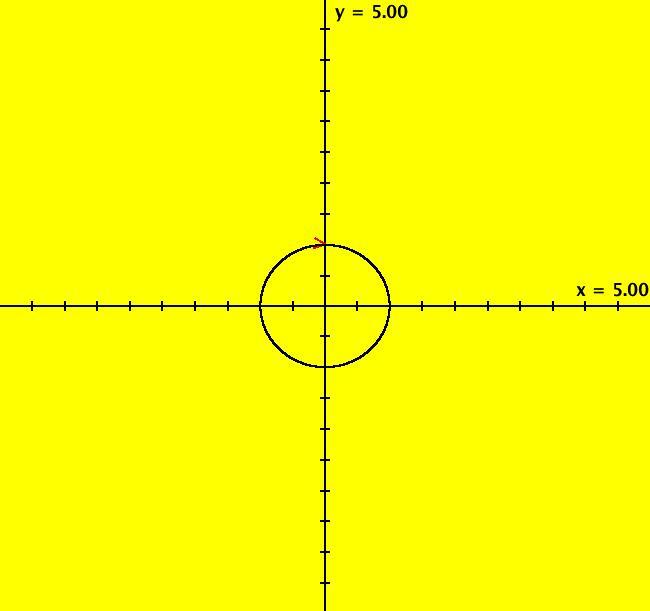 Image 1: Ode view, trajectory fot ICs (0,0) is the curve y(x) = sin(x). 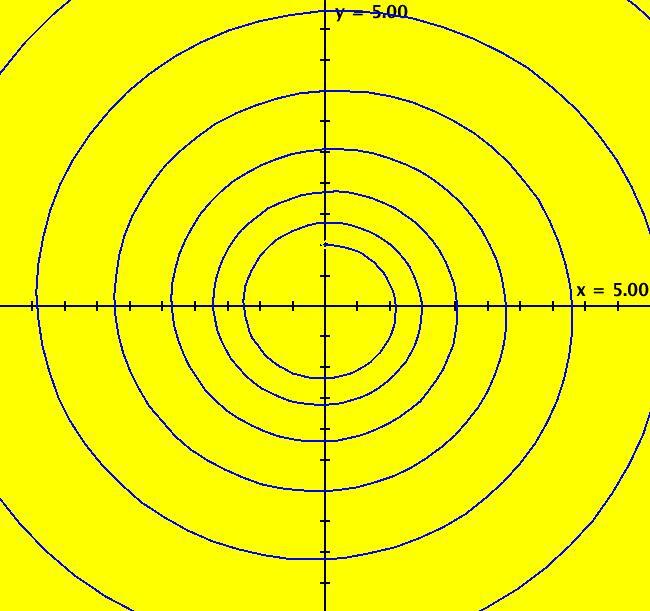 View/Sys/Gal: Ode "( 2) ode dx/dt = sin(x) w/RK4" in "IterationExs." 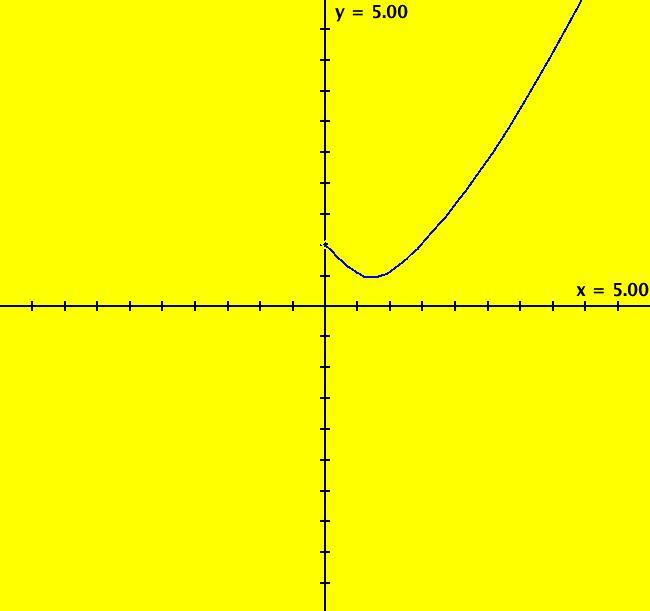 Using ICs (t,x) = (0,0) gives c = 1 so the solution curve is the cos(t) function flipped over about the t axis and then slid up by 1. The default algorithm used to generate the solution curve is RK4. View/Sys/Gal: IMap "( 3) ode dx/dt = sin(x) w/Euler, in IMap1000 view" in "IterationExs." Try increasing h in the IMap view. View/Sys/Gal: EMap "( 4) the EMapCT3 view of ( 3) with h = .13" in "IterationExs." The EMap view gives an interesting image. Click "Adj Ctrl Params ..." and check out the various color tables. Also try adjusting h.
View/Sys/Gal: Ode "( 5) ode (y,-x) w/RK4" in "IterationExs." 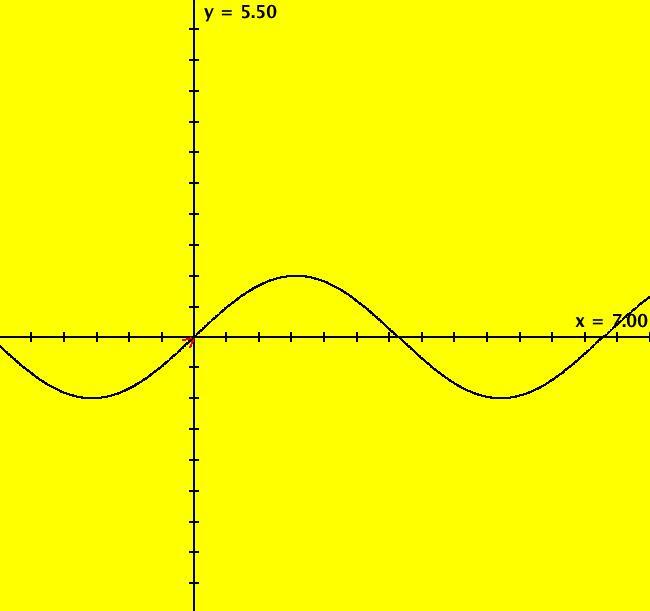 p(t) = (x(t),y(t)) = (sin(t),cos(t)). RK4 uses a default iteration step size of h = 0.01 but h can vary. 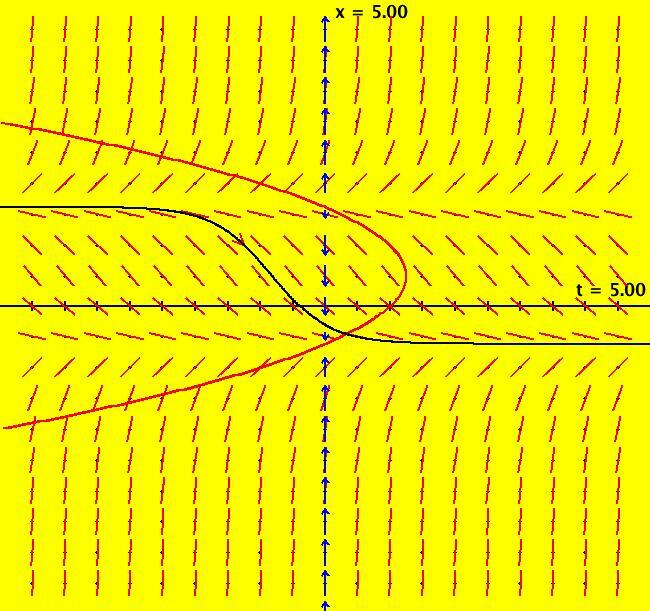 When the trajectory bends rapidly, h is decreased and where it bends slowly h is increased. It takes 10,000 iterations to get to t = 100. 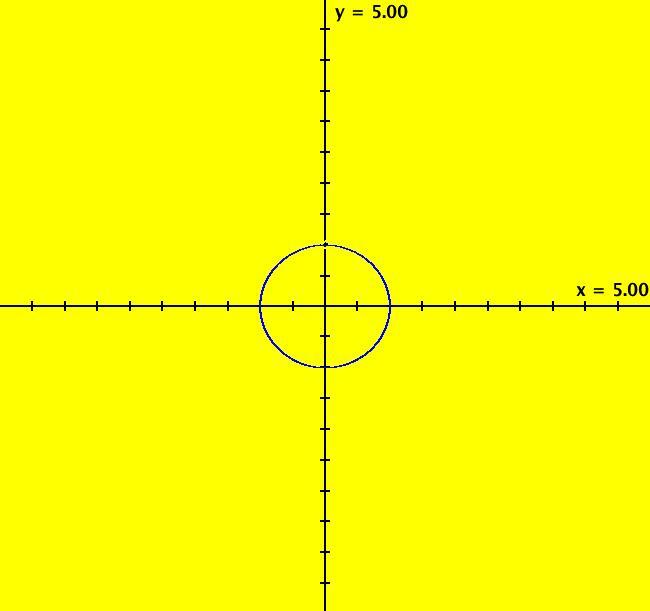 If you center at (0,1) and zoom in several times, you can see the error in the RK4 method. View/Sys/Gal: IMap "( 6) ode (y,-x) w/Euler, h=.001, in IMap view" in "IterationExs." 10000 is the number of iterations needed to get to the point p(10000). t = (10000steps)*(.001time/step) = 10. As h increases, the computation is faster but the approximate Euler solution gets worse. 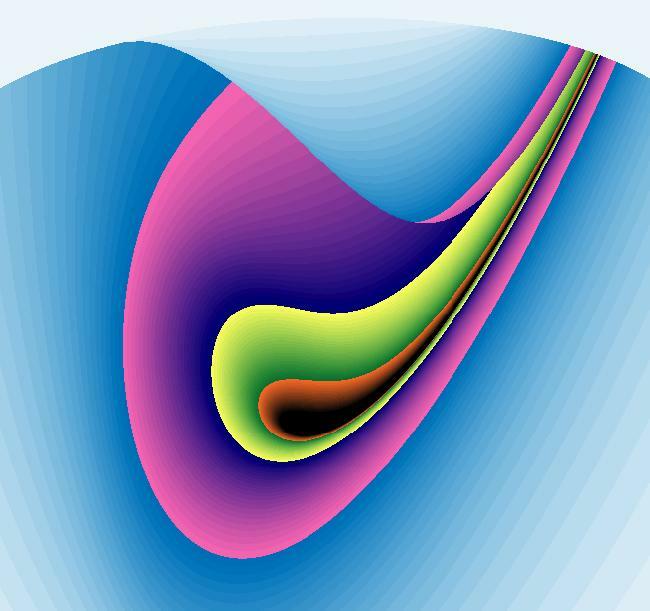 View/Sys/Gal: EMap "( 6b) ode (y,-x) w/Euler, h=.21, in EMapCT3 view" in "IterationExs." View/Sys/Gal: IMap "( 7) ode (y,-x) w/Euler, h=.01, IMap view" in "IterationExs." ICs are (0,1) and the trajectory should be the unit circle. It is easy to see the error in the Euler method with this h value. Also see the EMap view for h = .25. View/Sys/Gal: IMap "( 8) ode (y,-x) w/Euler, h=.1, in IMap1000 view" in "IterationExs." ICs are: (x,y) = (0,1). Click "Flow" in the IMap view. In the EMap view, with h = .34, try the various color tables. View/Sys/Gal: EMap "( 9) ode (y,x^2-y) w/RK4" in "IterationExs." 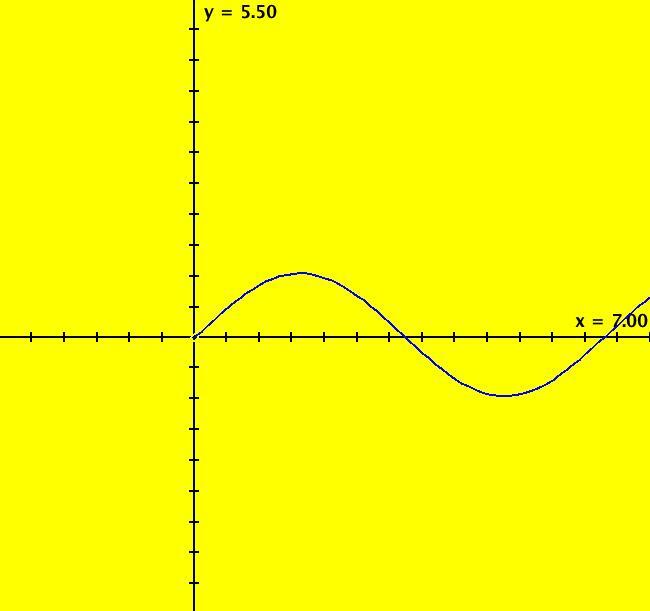 Note: this is not the solution curve for the ode generated using the Euler method - see example (10). For this vector field, the IMap view is not very interesting but the EMap view is somewhat interesting. If you click the border button, "Bdr," then click the arrowhead, you will find that the solution curve for the ode crosses the upper border at (3.909638,5). 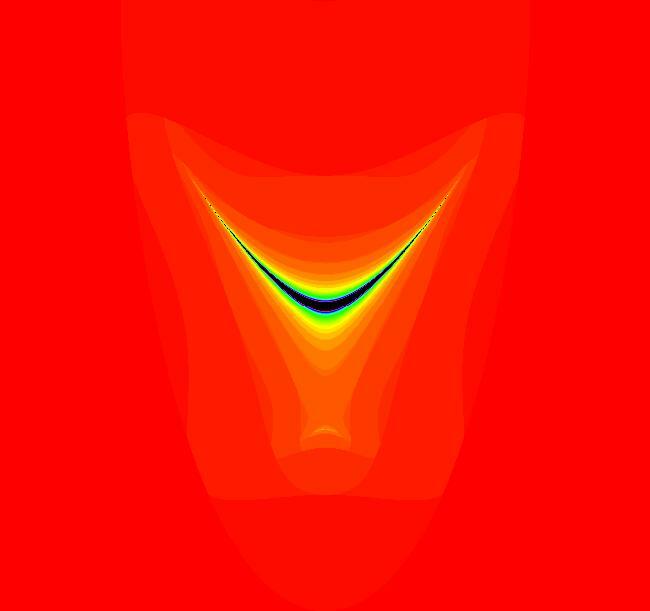 View/Sys/Gal: IMap "(10) ode (y,x^2-y) w/Euler, h=.1, in IMap1000 view" in "IterationExs." using a small value of h = Δt. If h is 0.01 we get reasonable agreement with RK4 for the +t part of the trajectory. 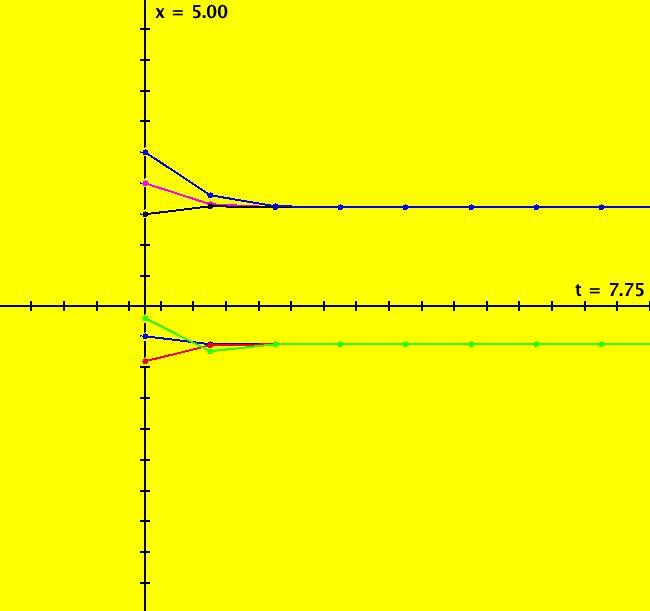 To get the -t part of the trajectory, just change the sign on h = -0.1. In the EMap view, the system gives a fractal. Try CT9 with h = -.1. 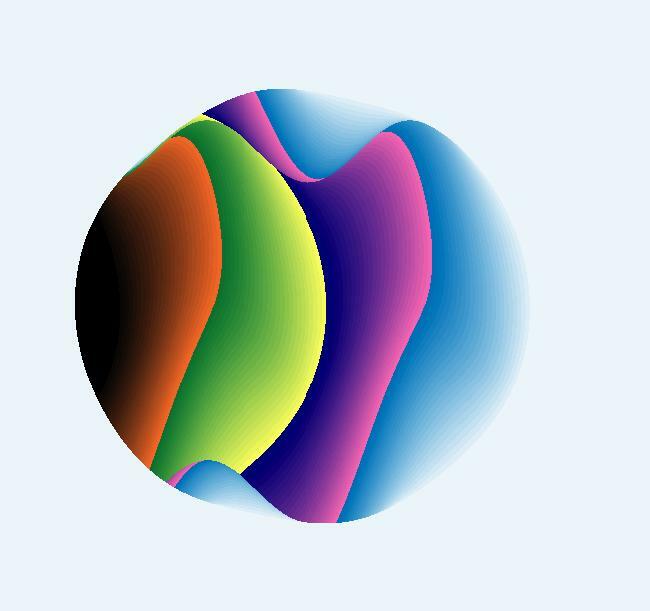 View/Sys/Gal: EMap "(10b) ode (y,x^2-y) w/Euler, h=-.04, in EMapCT3 view" in "IterationExs."